In a great variety of different applications within HVAC systems pressure relief dampers manufactured by Krantz are used to limit the pressure and control it, respectively. Typical applications include the protection of ductwork from inadmissible high loading caused by positive pressure or negative pressure, positive pressure ventilation of staircases, or setting a defined pressure drop between adjacent rooms. 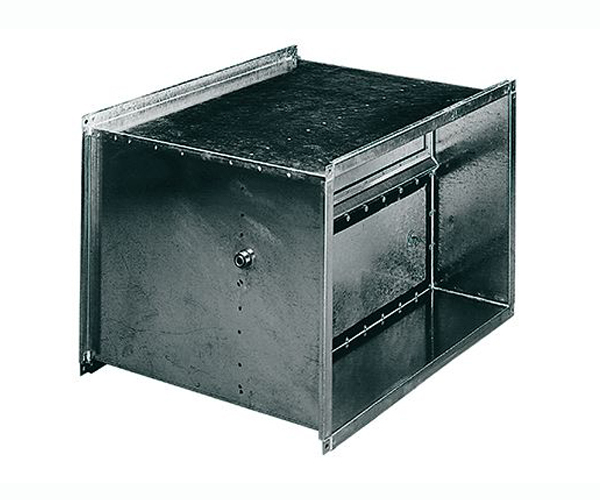 The Pressure Relief Damper KL-E is a design variant provided with control function which, as soon as then opening pressure is exceeded, keeps nearly constant the pressure in the ductwork, independent of the range of volume flow. When the pressure in the ductwork reduces to its normal range after the malfunction has been remedied, the damper closes automatically.